The cut of a diamond is the most important factor in bringing out the luster and brilliance in the stone. This is achieved by light flowing through the diamond and repeatedly reflecting though the facets in the “face up” presentation. An expert fancy colored diamond polisher is considered an artist because he has to analyze the diamond rough in such a way as to maximize the color saturation, brilliance in the stone as well as the size. 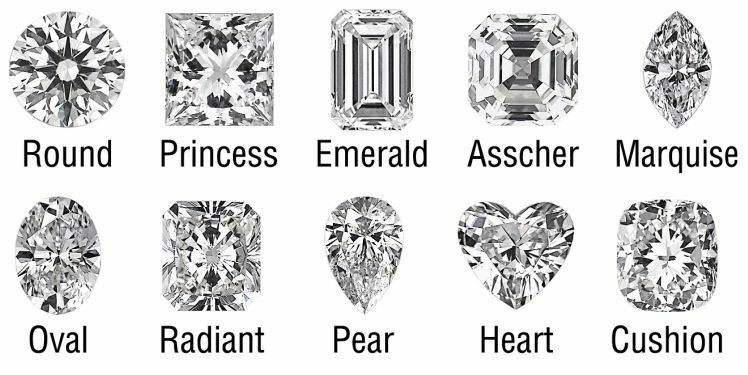 Radiant and brilliant cuts in rectangle, asscher, oval, heart and pear shapes are often used to maximize the color saturation and bring out the most beauty in the stone. Ideal proportions, finish and symmetry of a cut are the aim of the cutter, as well as the shape of the stone. Cut and shape have two different meanings. Shape refers to the actual shape the diamond looks like, (such as round, pear, oval and so on). Cut refers to the reflective qualities of the diamond and the faceting style used to maximize the color and brilliance (radiant, brilliant).